I love my pet friendly office location and invite you in to check it out! Take a break out of your hectic schedule and enjoy the relaxation of an aura healing. This non-touch energy healing acts like an energy tune up. Think of it as a spiritual massage! WARNING: They can be addicting! Enjoy a 10 minute energy rejuvenation session for just $10! Bring a friend (furry or not!) and get 2 for $15! You will each receive an aura healing and your total cost will be just $15. 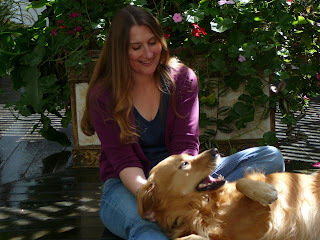 Readings and healings are available for people with and without pets, as well as pets themselves.